Home Explore The Naturalist's Journal Finally, a full week of rain! 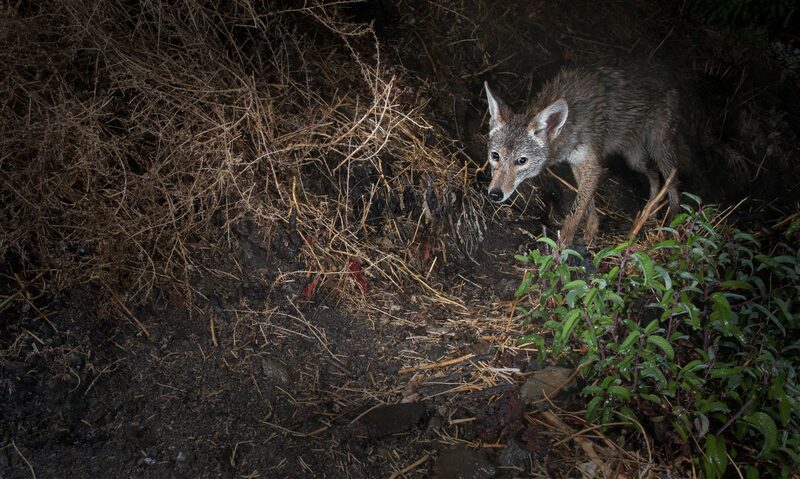 We received our first solid set of storms for the 2018-2019 season and wildlife is rejoicing – except for maybe this coyote seen sneaking into the yard during a nighttime shower. California chaparral and woodland plant communities react quickly to rain and the garden is alive with new growth and color. 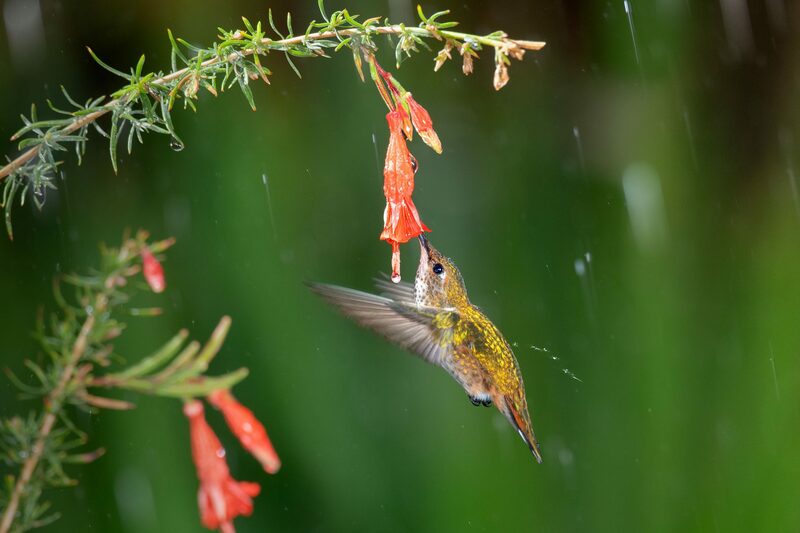 Early bloomers such as Fuchsia-flowered Gooseberries have already exploded with nectar-filled flowers, offering quick calories to the many hummingbirds in the garden during these cold wet winter days.